Hi guys! Things with the new kitten, Penny, are going well! Our other kitty, Mr. Bloo, has finally stopped hissing at her, and she's gotten brave enough to stand up to him. They are actually playing together as I type this. I'm a big ol' sap and I started tearing up because it was my hope that she'd breath some new life into his routine. 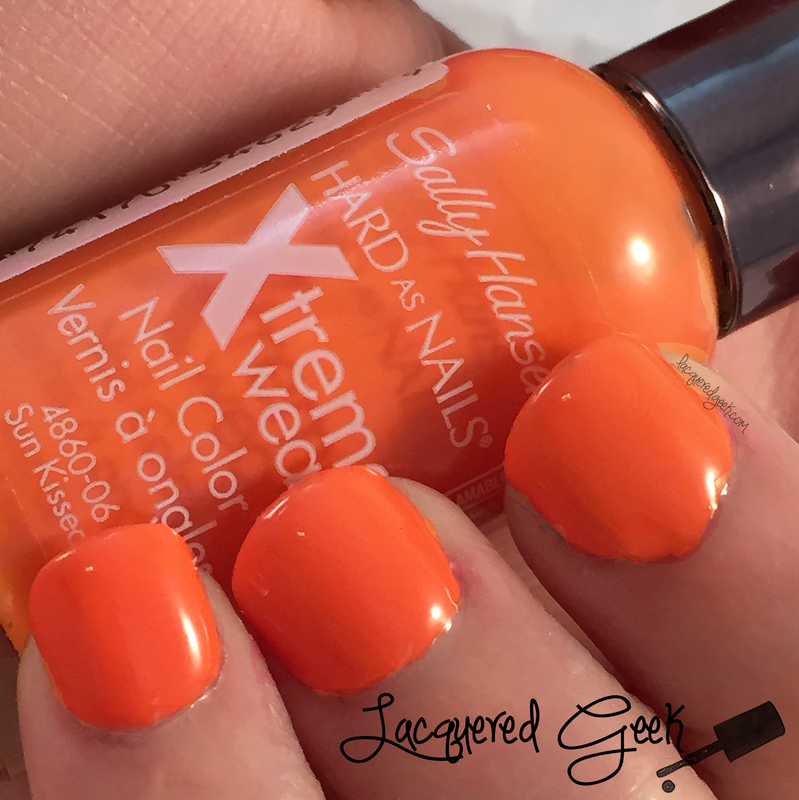 Today, I've got Sun Kissed from Sally Hansen for you. I picked this up last year when I was searching for the old formula of Pacific Blue. This polish gets a good bit of use in nail art, but this was the first time that I'd worn it alone. Big mistake! 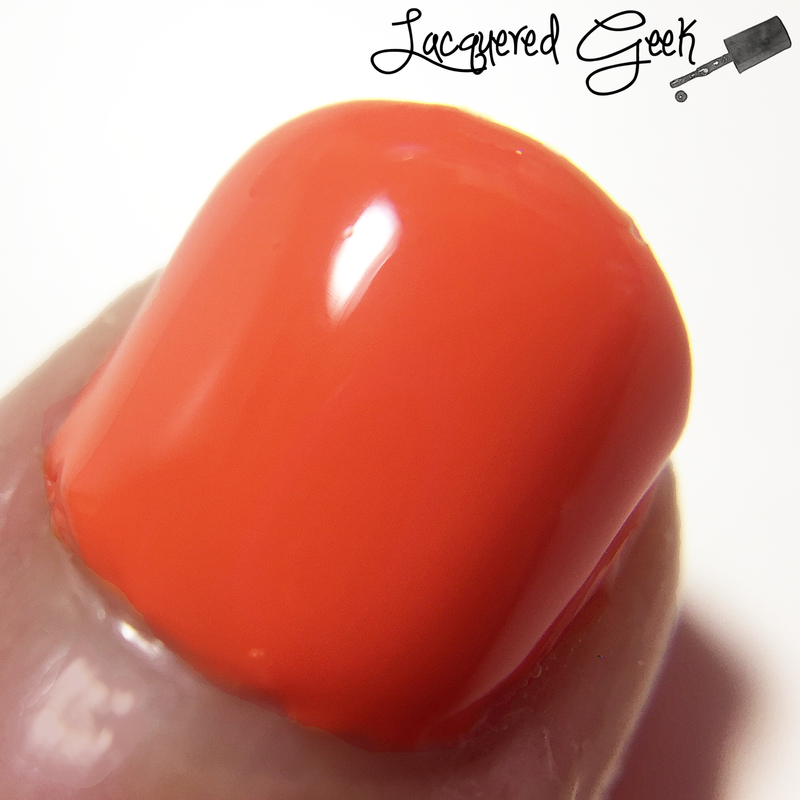 Sun Kissed is a simple, but gorgeous orange cream. It proves that sometimes simplicity is perfection. 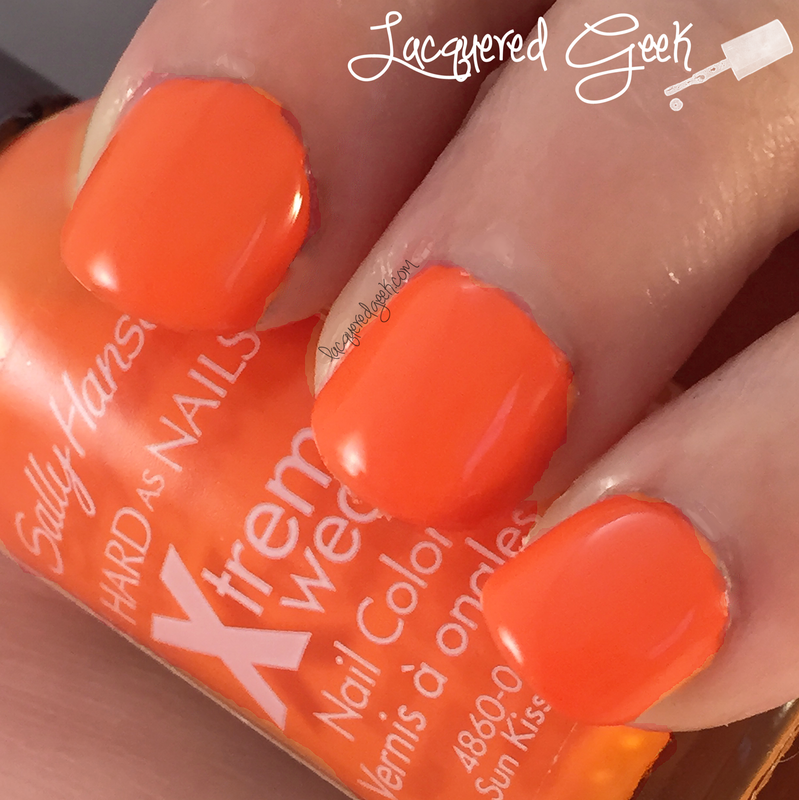 It has a fantastic formula and just needed 2 coats for full opacity. And it dries shiny! The only negative thing that I could find about it is my beef with all Sally Hansen polishes - the giant brush! If you have larger nail beds, the brush would be perfect for you. But if you're like me with kid-sized beds, you'll need to be extra careful. I swear, it's like trying to color within the lines with one of those big fat Crayons! I'll definitely be wearing this one more often now that I know how creamy it is! 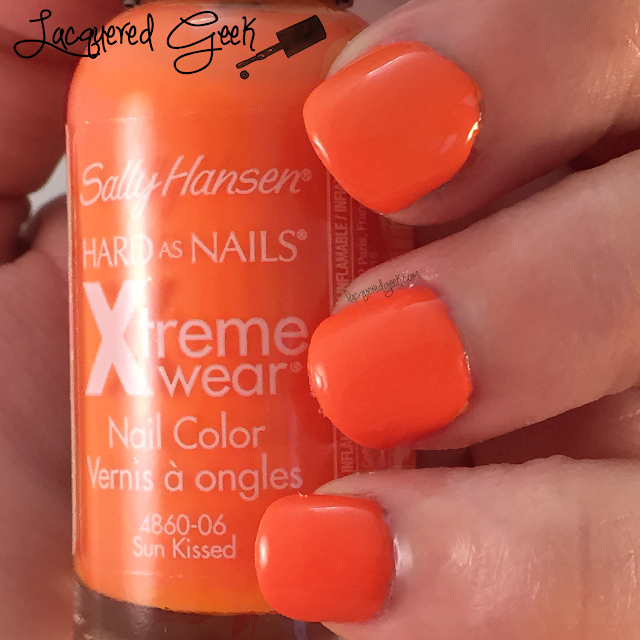 Do you have any favorite Sally Hansen polishes? What do you think of their brush? Orange is such a fabulous color. I wish I could pull it off. Wow! This looks so bright and fun. I never wear orange nearly as often as I probably should. This is a beautiful color for fall nail art! Well, now you have me craving a creamsicle! This is beautiful! Colors by Llarowe: That Bloo is Mine!